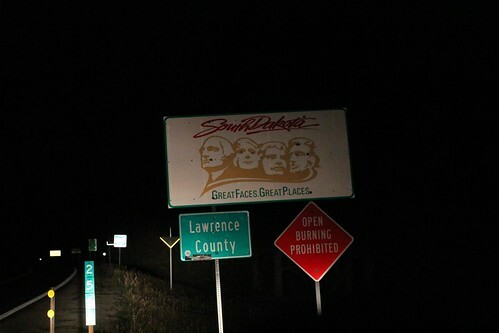 Mali Mish - Day 29: From Cheyenne to the Black Hills of South Dakota. 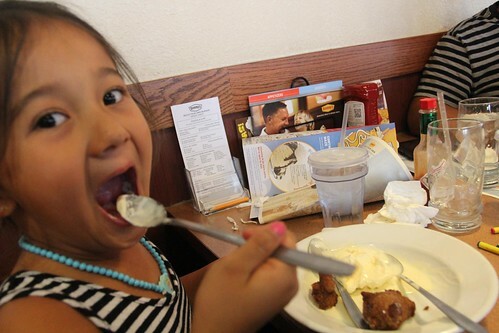 We ate breakfast at the Denny’s inside the Flying J and wouldn’t you know it, the girls talked us into getting ice cream, for breakfast. 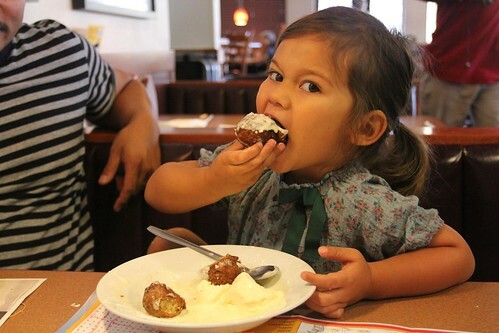 They also had these new banana bread hush puppies that were actually quite good. 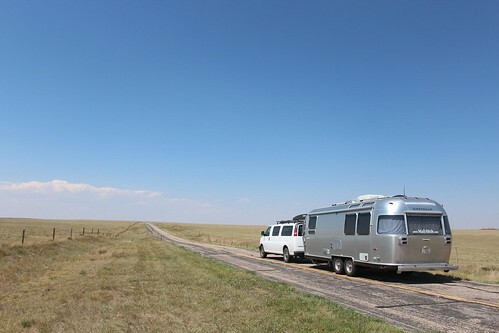 We hopped back on I-25 and began another long transit day through Wyoming. The original plan is to avoid the Interstate and take US-85 for some scenic countryside driving. We are still at around 5,000 ft in elevation but you wouldn’t know it.. it is as flat as the eye can see. 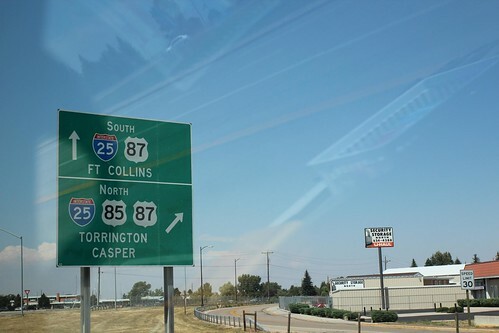 While driving up I-25, I lost track and missed my exit for US-85 and couldn’t find another exit for miles. That is pretty typical of these regions. When I finally got to the next I-25 exit, I found myself heading east down this dirt road. 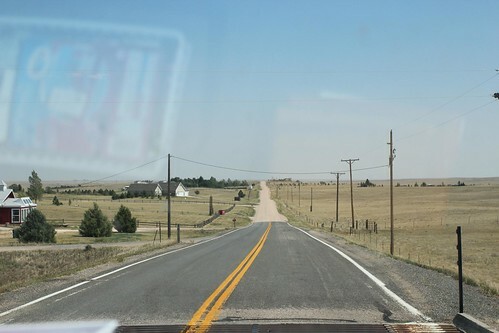 As Marlene was white knuckling down the dirt road, we found ourselves winding our way back towards I-25. I never did find my way to US-85 but at least we had an interesting detour. These roads were so scarcely traveled, we never saw another car on the road going in either direction. We stopped briefly at Wheatland, Wyoming and had lunch at a Burger King. They are now offering sweet potato fries as an option instead regular fries and we just couldn’t resist. We will drive a total about 300 miles today and that is a long day that just about doubles a normal transit day. 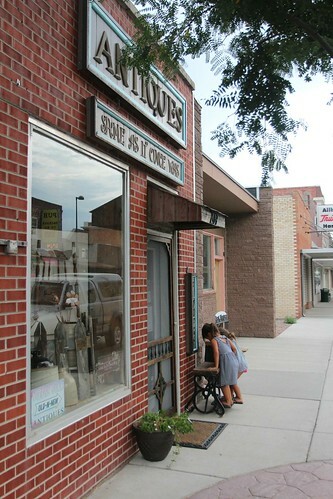 We found ourselves at the little cowboy town of Lusk, Wyoming around dinner time and we figure it was a good place to stop, get some dinner and get the kids ready for bed afterwards so we can drive some more. 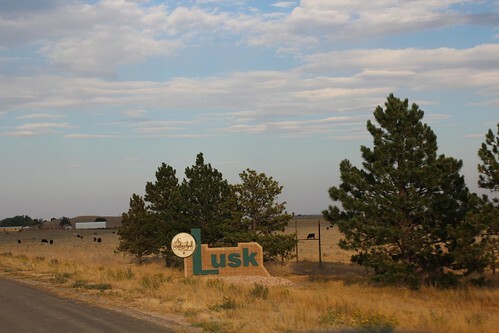 Lusk was once a major stop for stagecoaches that delivered gold, food and liquor between Cheyenne and Deadwood. It has been and still is a ranching community since it was founded in 1886. With only 1500 people in the area and just a handful of shops, the stores don’t need to get real creative with their names. 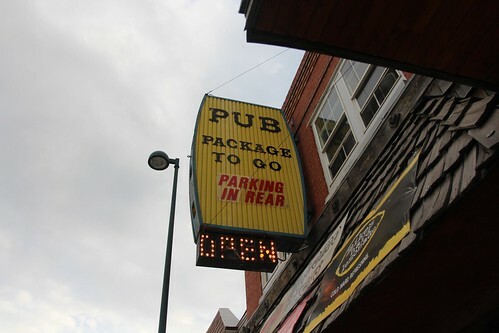 Their pub is called, ‘Pub‘. 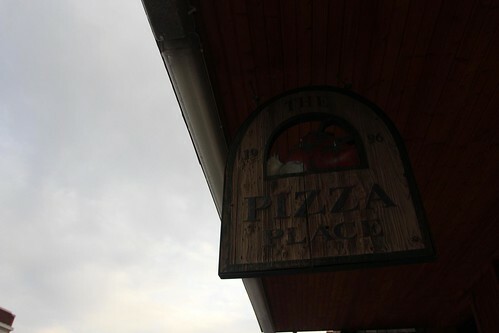 And their pizza place is called, ‘The Pizza Place‘. We got talked into eating at The Pizza Place by a local who found us loitering outside. He had very high praises for their pizzas and italian combo sandwiches. 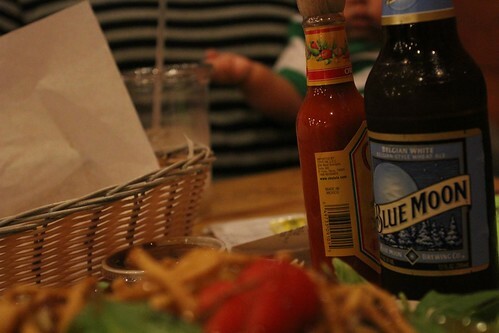 And every once in another blue moon, Marlene will have a beer instead of me. OK,are you ready for one last dumb joke? 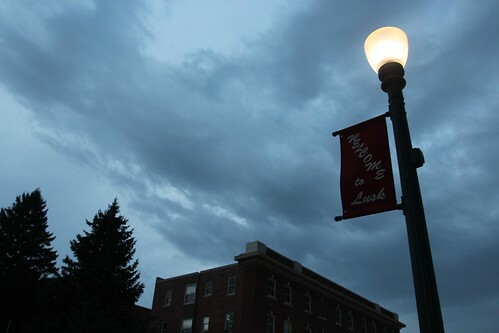 This is Lusk at dusk. As we headed out of Lusk, we began meandering up the Black Hills. Driving in these mountain roads for the first time in the dark can get a little tricky. We know we are headed to Deadwood tomorrow but we first have to find a place to boondock for the night. Just a few miles out of Deadwood, along, I-90, there is a town called Spearfish with a Walmart SuperCenter. Since we have no phone reception nor any Internet access, we had no idea if overnight parking is permitted or not. But we had no other choices as we headed toward Spearfish. And wouldn’t you know it, there are no overnight parking signs all over this location. 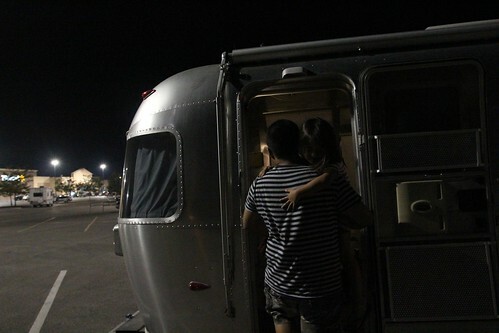 We did however see at least a dozen other trucks and RVs already parked there, so we took our chances in numbers and settled in for the night. 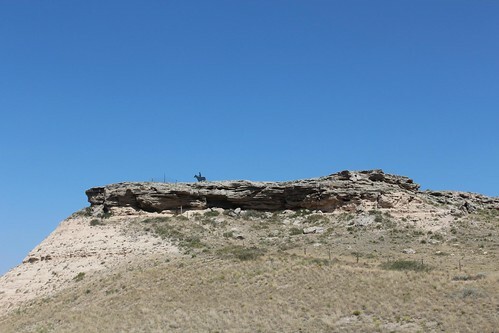 2 Responses to Day 29: From Cheyenne to the Black Hills of South Dakota. well, I was wondering when you would hit the wall on Sprint service – I followed your recipe for wireless connectivity, but got the Sierra Wireless bug directly from Millenicom. . . well, let me tell ya – Upper Michigan, mid-Ohio, The Alleghanies near Wilkes-Barre and the Hudson River Valley, not so good connectivity wise – awful to non existent and glad that I’m usually no more then a day from a Starbucks or wired coffee joint. . .
@nick One of the things we found is that we are able to roam on Verizon without any additional charges. We have to enable roaming on the modem but it works great. The only problem is, even Verizon only has 2G here. We can use it but it is painfully slow! I don’t know what AT&T is like here but I guess that would be the other option to try.